draco malfoy. . Wallpaper and background images in the draco malfoy club tagged: draco draco malfoy malfoy slytherin cute love cool half-blood prince. 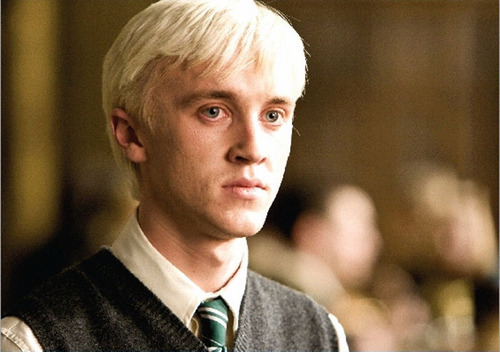 This draco malfoy photo contains setelan jas untuk bekerja and setelan bisnis. There might also be jas, baju pakaian, setelan, perapi pakaian, berpakaian orang, jas, celana jas, celana panjang, orang berpakaian, perapi celana, tiga jas, and tiga bagian setelan. Draco, You really are a coward. Without your wand you cannot win in a fist fight. Let see if you can fight like a man you will lose. with just magic, you cannot win against harry potter. what more using hands. you just lost in a fistfight against a girl,Hermione Granger. maybe you will also not win in a fight against Edward Cullen. shut the hell up andurilhighking.Draco is a cute bad boy with a hard life and a hard choice to make.I would love to see what you would do.You would probally fail worse than HE EVER could have.He COULD win any fistfight especially against Hermonie Granger OR Edward Cullen. ^^ That wasn`t a fistfight... she slapped him, how is that a fistfight?